I've always loved "favorites" blog posts/videos so this month I figured that I'd do one of my own. This favorites is actually pretty short, but these are just the few items that I've found myself using quite often these past few weeks. I'm sure you guys recognize these sunnies! I've been featuring them in almost every Instagram post. I have never loved a pair of sunglasses this much before I found these. They're $9.99 at Kaitlyn Clothing stores, but I know a lot of you may not have a Kaitlyn store near you. So, I actually found them at an online store called Sunglass Spot! (You can purchase them here! )They're sooo cute and I would honestly purchase them in every color but that would just make me look crazy. 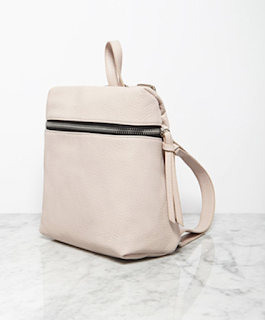 I have a confession to make, I actually purchased this same backpack in their "blush" color as well. Yes, I KNOW I HAVE A PROBLEM. 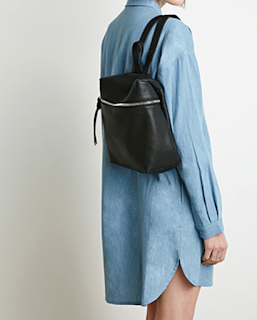 I've been on a hunt for a fashionable backpack and this one was just perfect. I love the simplicity of it and though it looks small, it surprisingly fits a lot! I can fit all my every day essentials plus more if I needed to. Click above to view it on Forever 21's website! I FINALLY got myself some black knee-slit jeans! (Thank you to my boyfriend!) They're super comfy and I love how TopShop has a "petite" size in their jeans for us short girls. 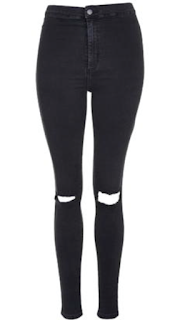 These TopShop jeans are just all around amazing and my new favorites, I'm definitely going to need more pairs! This brush is AH-MAZING. Everyone needs this in their makeup collection! I use it to blend in concealer, foundation and even apply powder! It's also SUPER soft. You can purchase it here at Ulta for only $9! I love these! That Topshop Jeans is just gorg!